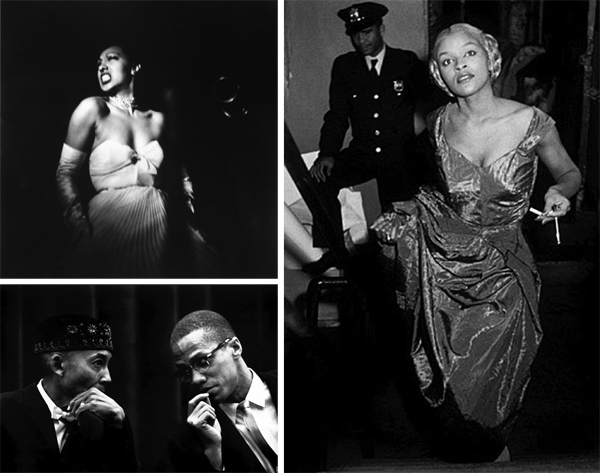 Lesser known are the photos she took in Harlem, including (below) Josephine Baker, Elijah Muhammad & Malcolm X, and the model Charlotte Stribling (aka ‘Fabulous’). The African American model Charlotte Stribling, or “Fabulous” as she was known, relaxes during a fashion show in Harlem’s Abyssinian Church, 1950. During this period Harlem hosted an average of 300 fashion shows a year, many of them showcasing clothes that the models themselves or local seamstresses had made. Many of the shows became both a subtle form of protest at the white fashion industry located in and around New York’s Seventh Avenue, and a source of great pride in local black industry. “Fabulous” had a huge personal following and was one of the most sought after models in the area. The Abyssinian Church itself had been a center for the Civil Rights Movement, particularly under the pastorship of Rev. 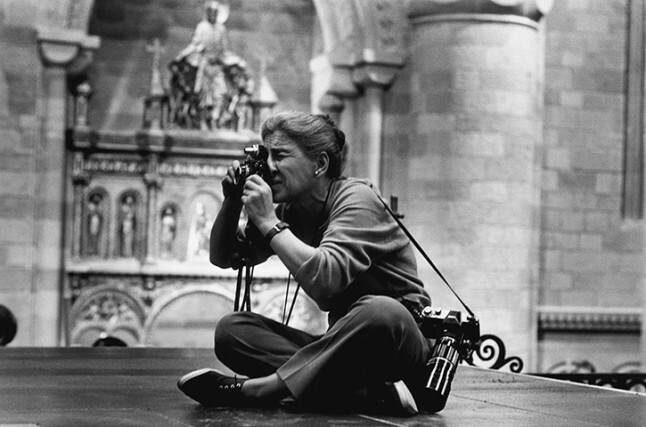 Dr. Adam Clayton Powell, Sr.
Eve Arnold died in London, where she’d lived since the ’60s, on January 4th. Cuban Bar Girl is my favourite photo of hers. Must admit until a couple of weeks ago I didn’t know who Eve Arnold was, though I did know the picture as a mate had it on his wall at college. Just added an extra paragraph re the BBC Omnibus ‘Eve Arnold – In Retrospect’ documentary.